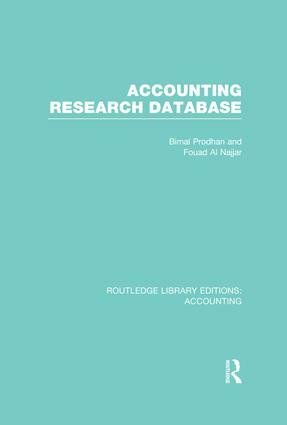 An invaluable tool for the researcher in accounting history, this comprehensive database, structured in an accessible way, analyses over 1,200 articles from four mainstream accounting journals from the UK and USA. Each article (originally published between 1976 and 1985) was analysed in two ways: first, into empirical or conceptual categories and second, into one of twenty topic areas. The journals covered are Journal of Accounting Research, The Accounting Review, Accounting and Business Research and Journal of Business Finance and Accounting. Accounting carries with its history a vast number of ideas which have slowly developed along with it. comparisons with international accounting standards.